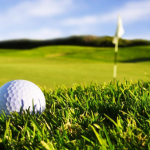 Golf was believed to be originated in Scotland in the fifteenth century. It’s a very popular sport all around the world where the players with the help of clubs hit the balls into holes created in the ground. It’s an outdoor game where players need to hit the balls into the nine or eighteen holes in as few strokes as possible. Golf should be played in an isolated place, away from the noise and chaos with lots of concentration and attention. These two qualities are important for the players of golf. This sport requires a strong will-power and discipline. The players must be serious about practising the game daily and only then you can expect to learn the sport. How can you become a good and a competent golf player? How To Stop Missing Short Putts?